The NEW ‘self-stick’ photo frame you can stick almost anywhere – a clever idea that allows you to frame and stick your photos straights onto walls, doors, cupboards and just about anywhere insatntly. Gripping Stuff Photo frames are removeable, repostionable and reusable – ‘press-on’ and ‘peel-off’ over and over again. Create a perfect photo display in seconds. The NEW ‘self-stick’ photo frame you can stick almost anywhere – a clever idea that allows you to frame and stick your photos straights onto walls, doors, cupboards and just about anywhere instantly. 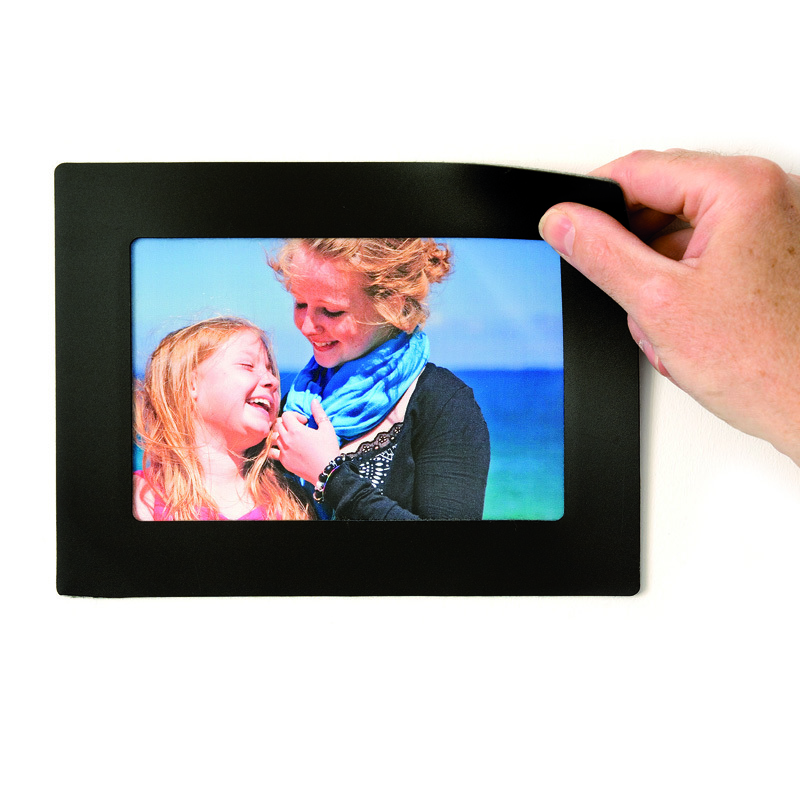 Gripping Stuff Photo frames are removable, repositionable and reusable – ‘press-on’ and ‘peel-off’ over and over again. Create a perfect photo display in seconds. No need to drill holes in your walls, no tacks, drawing-pins, oily putty or tape required – no mess, no fuss, quick and easy for the whole family to use. Each pack of Gripping Stuff Photo Frames contains x 4 frames (a) x 2 to fit the most popular size photo 6″ x 4″ and (b) x 2 ‘Passport’ size.